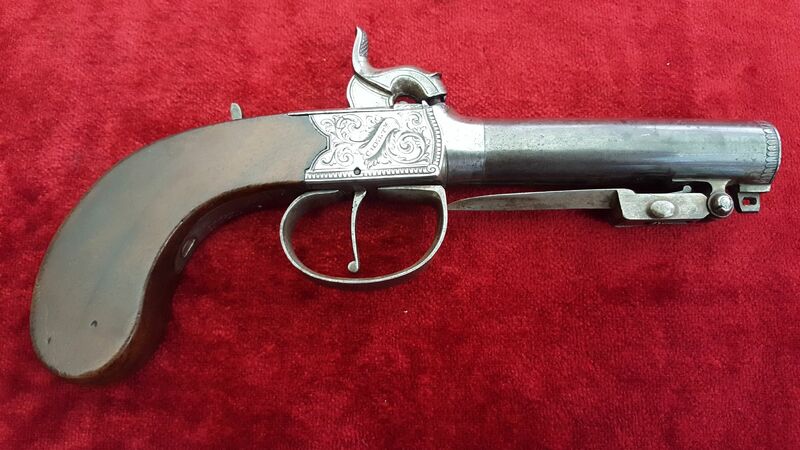 A good English single barrelled percusion pistol with spring bayonet by "Hollis of Cheltenham". Good condition. Circa 1829-1856. Ref 9473. 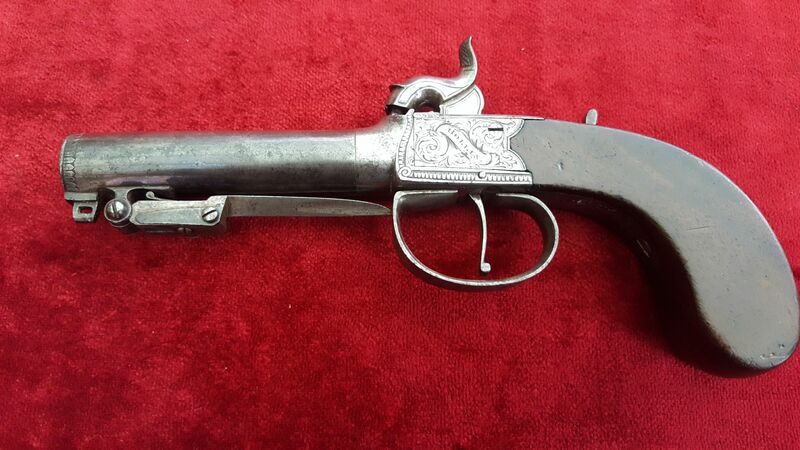 A good English single barrelled percusion pistol with spring bayonet by "Hollis of Cheltenham". 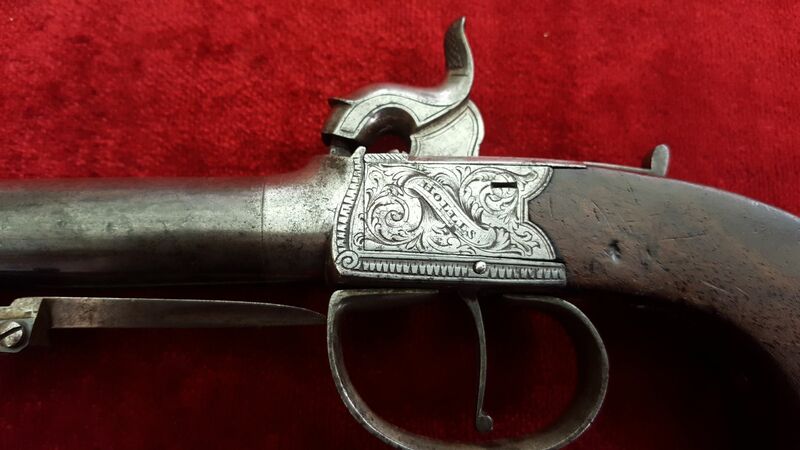 William Hollis had a gun shop on the High Street, Cheltenham 1829-1856. 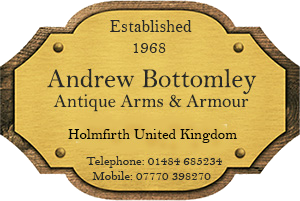 The side plates engraved with decorative scrolling with the makers name in a panel - "HOLLIS" on one side and "Cheltenham" on the other. Fitted with a a folding spring bayonet on the underside of the barrel.The muzzle is starred to enable it to be screwed off for loading. 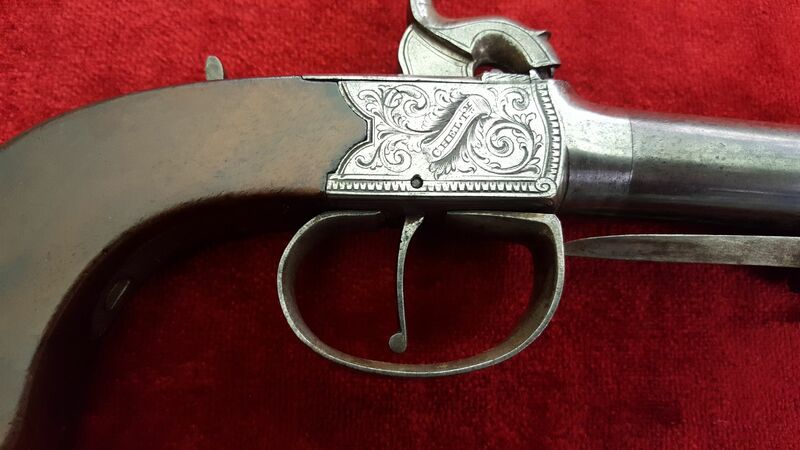 Sliding safety, 3.25 inch barrel and decoratively engraved trigger guard. Oval silver escutcheon fitted to the rear of the flat sided wooden grips. Overall length 8 inches. The folding bayonet spring is a bit weak, otherwise in good condition and working order. A nice clean example. Ref 9473.